A Cyborg Digimon that fully mechanized the body of the Reaper-like Fantomon. It operates using an energy supply from another dimension's Digital World, and it is even said that its strings are being pulled by someone. Its energy emission-shaped sickle gives off a "Grave Scream", a strange, eerie sound, then reaps souls directly, regardless of any kind of armor or shields. 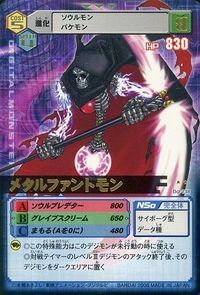 Its Special Move is soul releasing enormous energy to enlarge its sickle, then falling upon the opponent as if it was starving for souls (Soul Predator). This profile matches its partner in the Digimon Reference Book, except that there are translations for "Grave" and "Scream" into Japanese. 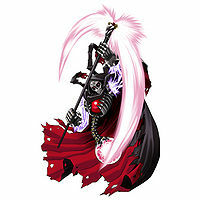 A Cyborg Digimon that fully mechanized the body of the Reaper-like Fantomon. It operates by being supplied with energy from another dimension's Digital World, and it is even said that its strings are being pulled by someone. Special Move: It gives off an eerie sound, and then reaps souls directly (Grave Scream). A Perfect Digimon that possesses an energy emission-shaped sickle. With its "Grave Scream", a strange, eerie sound, it reaps the opponent's soul. 1) n., From Fantom 「ファントム Fantomu」, an alternative way of writing phantom. 2) n., From Fantomu, a transliteration of 「ファントム」, translating to phantom. Soul Predator  ソウルプレデター Souru Puredetā Enlarges its energy scythe and either slashes the enemy with it or fires a barrage of energy blades from it. Grave Scream  グレイブスクリーム Gureibu Sukurīmu Emits a screaming sound from its scythe that puts enemies to sleep so it can use nightmares to devour their souls. 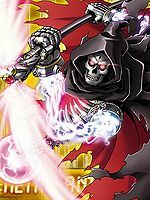 He seemed to use some sort of nightmare inducing attack, which caused Thoma to relive the death of his mother, causing him to awaken his DigiSoul at full power and eventually causing Gaomon to become Mach Gaogamon and delete Metal Fantomon for good, also freeing Masaru and Yoshino of the nightmares. 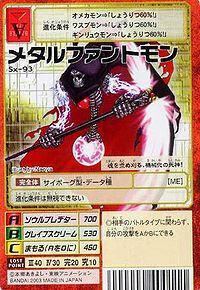 Metal Fantomon appears as the lead enemy in Digimon D-Cyber. He was the one who drew the three Tamers into the Digital World. 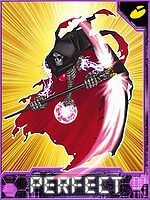 Metal Fantomon is available as a Digimon Medal. Evolves from Ginryumon, Omekamon, Raptordramon, or Waspmon. Can evolve to Alphamon, Metal Piranimon, or Ouryumon. Can also Blast Evolve into Dynasmon X-Antibody or Metal Piranimon. 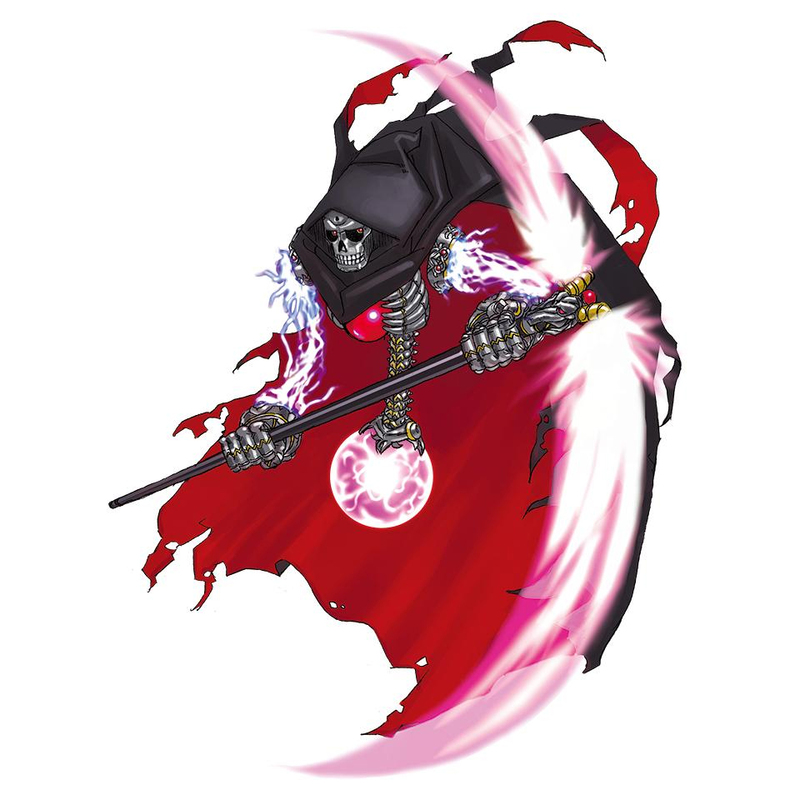 This mechanised grim reaper yearns for souls to harvest! This page was last modified on 18 October 2018, at 16:14.